As a follow-up to the highly popular Q&A last week featuring DLA attorneys Joshua Briones and Ana Tagvoryan, they both have graciously allowed us to distribute a few of their social media discovery templates found in the appendix of their book: Social Media as Evidence: Cases, Practice Pointers and Techniques, published by the American Bar Association, available for purchase online from the ABA here. The first template is deposition questions relating to social media evidence. The second is a sample of special interrogatories. They can be accessed at this link. Thanks again to Joshua and Ana for their insightful interview, and for providing these resources. Their book contains many more such templates and practice tips, including sample document requests, proposed jury instructions, client litigation hold memorandums with a detailed preservation checklist, preservation demand letters, and much more. In other social discovery news, the ABA Journal this month published an insightful piece on social media discovery, featuring attorney Ralph Losey, with a nice mention of X1 Social Discovery. 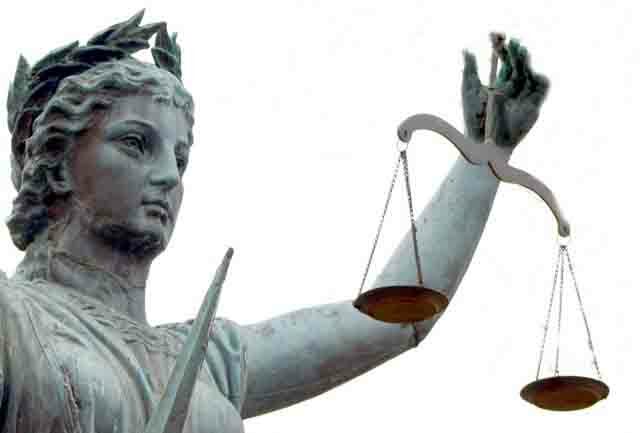 In a key excerpt, the ABA Journal acknowledges that “there is a pressing need for a tool that can monitor and archive everything a law firm’s client says and does on social media.” The article also noted that more than 41% of firms surveyed in Fulbright’s 2013 annual Litigation Trends report, acknowledged they preserved and collected such data to satisfy litigation and investigation needs, which was an increase from 32% the prior year. Another important publication, Compliance Week, also highlighted social media discovery, where Grant Thornton emphasizes their use of X1 Social Discovery as part of the firms anti-fraud and data leakage toolset. Incidentally, when determining whether a given eDiscovery tool is in fact a leading solution in its class, in our view it is important to look at how many consulting firms are actually utilizing the technology, as consulting firms tend to be sophisticated buyers, who actually use the tools in “the front lines.” By our count we have over 400 paid install sites of X1 Social Discovery and over half of those – 223 to be exact – are eDiscovery and other digital investigation consulting firms. We believe this is a key testament to the strength of our solution, given the use by these early adopters. Twitter continues to be a significant source of evidence in litigation and corporate investigation matters. A legal database search of published opinions reveals several dozen known cases recently involving Twitter-based evidence. See, e.g., Agence France Presse v. Morel, (Dist. Court, SD NY 2011) (Pictures posted to Twitter spawn copyright infringement claims); PH(X) Glass, LLC v. Clarke, (Dist. Court, ND Calif. 2011) (Twitter postings allegedly violated injunction in patent litigation). In addition to providing key evidence in virtually every type of litigation matter, lawyers are increasingly using Twitter to investigate and monitor potential and empanelled jurors. As we addressed in our recent webinar with Ralph Losey of Jackson Lewis, this type of monitoring activity can lead to serious attorney ethics violations if improperly performed. For instance, if an attorney were to merely “follow” a potential juror on Twitter, the social media service will automatically email the juror notifying them that they are being “followed” by that attorney under that attorney’s account name. According to several recent bar association opinions specifically addressing such a factual scenario, this is problematic and can lead to disqualification and even potential disciplinary action. (See e.g. New York County Law Association Formal Opinion No. 743, May 18, 2011). Proxies hired by attorneys, including eDiscovery service providers, investigators and jury consultants are subject to these restrictions, which can also apply to social media communications with witnesses or opposing parties who are represented by counsel. For this reason, X1 Social Discovery features a specialized “public follow” feature that enables access to all the past Tweets of a specified user (up to 3200 past tweets) and any new Tweets in real-time without generating a formal “follow” request with the resulting problematic communication. This feature works within the public APIs provided by Twitter for third party developers. And as Twitter has a full license to distribute all Tweets and make them publically available per their terms and conditions, we believe this is the most proper method to obtain this information. To illustrate this important feature, we have made this 1 minute video clip available. These legal ethics rules concerning indirect social media communications underscores the importance of employing best practices technology to search and collect social media evidence for investigative and eDiscovery purposes. Collecting evidence in a manner that prevents, or at minimum, does not require that attorneys and their proxies directly or indirectly communicate with the subjects from whom they are collecting social media evidence is a core requirement for solutions that truly address investigative and eDiscovery requirements for social media. In addition to collecting and authenticating social media evidence in a proper manner, X1 Discovery provides fast and comprehensive searching of the data in a manner unmatched by any other technology. All for $945 per year, which is a very small price compared to the direct and indirect costs associated with potentially running afoul of legal ethics rules. First, many thanks to all who participated in our legal ethics and social media evidence collection webinar. Special thanks also to the esteemed Ralph Losey of Jackson Lewis for his participation. Ralph provided informative legal insight as always on this topic and there were many excellent questions and comments by participants. For those who did not attend, you can view and listen to the full recording here. (There is 1 hour MCLE ethics credit available for California attorneys who review the recording in its entirety). And as we outlined a few weeks ago, the Plaintiff’s attorney in Lester v. Allied Concrete Company did not equate social media evidence with more traditional forms, causing him to blithely instruct his client to rid his Facebook page of damaging evidence, resulting in what many attorneys believe is the most severe eDiscovery court sanction imposed upon a lawyer. However, for every situation like the Lester case where relevant social media is brought to the forefront, there are presumably many others where important social media evidence is overlooked by attorneys and their service providers who do not include social media as part of their standard eDiscovery process checklist. As it is now established that social media is highly relevant as evidence, it is important that attorneys, paralegals, eDiscovery consultants and investigators proactively seek out such evidence and include its investigation in their standard processes and checklists. Many legal experts would say professional standards of care require it. With attorneys and their hired consultants routinely collecting social media evidence for investigation and eDiscovery purposes, it is important to be aware that such activity can generate various direct and indirect communications to the subject account owners. Sending a Facebook “friend” or a LinkedIn “connect” request are obvious examples, but there are also less overt means of social media communications. For instance, if a hypothetical law firm named Smith & Wesson were to merely follow a witness on Twitter, the service will automatically email the witness with a notification that Smith & Wesson is now following her. Additionally, it is all too easy when viewing a Facebook page to inadvertently “like” an item or accidentally send a friend request through a single mouse click. And if you simply view another’s Linkedin profile while logged into your own account, that person will often be notified that you viewed his or her profile page. 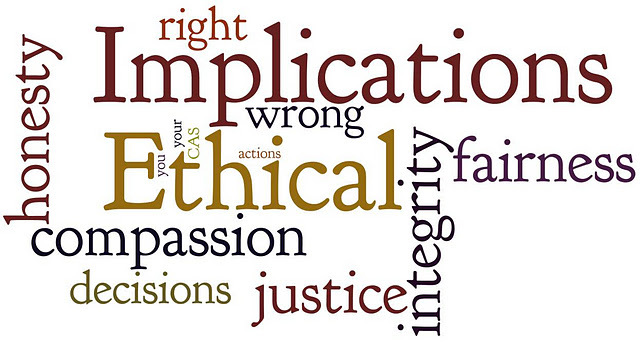 For lawyers and their hired consultants and investigators, all this can be very problematic considering legal ethics rules that strictly regulate communications with represented parties and even jurors connected to a case. Several local and state bar associations have issued legal ethics opinions discussing this issue specific to collecting social media evidence. On December 6, X1 Discovery hosted a live webinar to delve deeper into this topic with the esteemed Ralph Losey of Jackson Lewis as the featured speaker. Ralph is the lead eDiscovery partner at Jackson Lewis and the author of “The eDiscovery Team,” considered by many to be the best legal eDiscovery blog on the planet. You can register for the recorded version of this webinar at this link here. (One hour of ethics CLE credit will be available to California attorneys). From our perspective, this critical concern involving indirect social media communications and legal ethics underscores the importance of employing best practices technology to search and collect social media evidence for investigative and eDiscovery purposes. 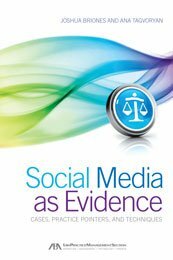 Collecting evidence in a manner that prevents, or at minimum, does not require that attorneys and their proxies directly or indirectly communicate with the subjects from whom they are collecting social media evidence is a core requirement for solutions that truly address investigative and eDiscovery requirements for social media. If user credentials to the social media account have been properly obtained, that is obviously ideal. However, in many instances lawyers must resort to searching and collecting publicly available information. In such situations, it is crucial that the law firm and/or its hired experts conduct such collections in the proper manner. For instance, X1 Social Discovery software features public Facebook capture that can search and collect publicly available Facebook pages without directly or indirectly notifying the account holder. This is critical functionality for eDiscovery preservation. Additionally, X1 Social Discovery accesses and displays Facebook pages in read-only mode, preventing metadata alternation, inadvertent friend requests or “like” tagging through a simple slip of the mouse. X1 Social Discovery includes other features concerning Twitter and Linkedin that also prevent indirect communications while effectively collecting data from those sites. We will be highlighting those features in the next few weeks, but in the meantime, we hope you enjoy our webinar.